Peek into make-up artist Kirthika Ranjeeta��s handbag and you will find a cornucopia of delectable cosmetics and beauty products. From foundation, to lipsticks, concealers to eyelash curlers, the 31-year-oldA� confesses that her love of cosmetics fuelled the start of her career. a�?When I saw how make-up can make the dullest of complexions flawless, I was hooked.a�? 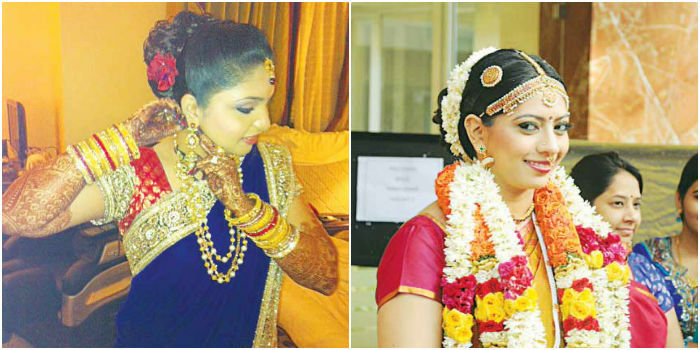 The make-up maven is therefore much in demand in the city for her transformational services. a�?My clients are mostly brides; I have dressed doctors, engineers and architects… and of course their socialite mamas,a�? says Kirthika who has a Master of Arts degree in English literature (Ethiraj College). She has also had professional training courtesy MAC Cosmetics (USA) and trained with Mumbaia��s Mariam Zaveri for hair. a�?I trained under Bharat and Doriss Godambea��s team briefly.a�? Kirthika, who is the grand-daughter of acclaimed Tamil actor a�?Thengaia�� Srinivasan, remains refreshingly unconnected with the industry.A� The make up artist has, however, done make up for her actor brother Yogi, forA� a song sequence. When asked for tips on contemporary make-up she professes, a�?My make-up is inspired by the golden rule that less is more!a�? 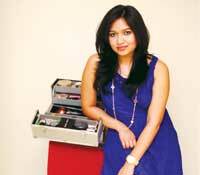 She names make-up marvels Bharat and Bobbi Brown as her greatest influences. a�?I love Bobbi Browna��she changed how women wear make-up internationally. I love her flawless skin make-up mantra. I also think pop star Rihanna is so daring with her hair and make-up,a�?A� she says. The young mom also credits her travels abroad for teaching her new tricks of the trade. a�?I just returned from Shanghai and was amazed at the way Chinese professionals used dry shampoo for a quick hair set. I do much of my cosmetics shopping overseas,a��a�� she says. As for the products she would never leave the house without, the make-up artist says, a�?Benefit a�?Get Evena�� powder is great for excess oil. Their rose tint is perfect to touch up lips and cheeks.